As the last weeks of my time as an undergraduate student at UMD approach, I wish to take this time to reflect on these past four years and talk about my successes and a few of my regrets. My plan coming into UMD was this: I would give it a shot here, and if I didn’t like it, I could easily transfer to the Twin Cities campus and be closer to home. Clearly, that did not happen. Instead, I quickly found myself deeply involved with the Latinx/Chicanx Student Association (Then called Latino/Chicana Student Association) and became fast friends with all of its members. A few weeks later, I ran for the Freshman Representative position on the Executive Board and was elected. That was the beginning of my involvement as a student leader on campus. Like most other freshmen, I had no idea what I was doing, and I got lost more often than I would like to admit. Luckily, by the time spring semester came around, I had a decent knowledge of the layout of UMD, and I knew the basics of how to get through college successfully. That year, I also began texting with a girl who went to school in Mankato with a few of my friends from back home. I also lived on-campus and had a meal plan, and so my immediate expenses were so low that I did not see a need to get a job. In hindsight, I wish I would have had the foresight to work a bit and be able to save up the money. My sophomore year was rather uneventful compared to the previous one. I served as a red RockStar during Bulldog Welcome Week, and that was an amazing experience that resulted in me losing my voice for a few days after yelling for several days straight. Outside of that and a few tours facilitated by the Office of Diversity and Inclusion, I did not get much experience with being a student leader during my sophomore year. Luckily, that was compensated with better grades than I earned the year before, although that could easily be chalked up to having more experience with college classes in general. I also grew deeper friendships with my peers in LCSA and the Multicultural Center as a whole. Even though I was not an official student leader in the MC, my efforts to benefit marginalized students was recognized, and I was nominated and ultimately selected to serve as the Diversity and Inclusion Director for Student Association (student government) the following year. Additionally, I ran for a position on LCSA’s Executive Board for the following year and I got that position as well. That summer, I moved in with a few of my friends from LCSA to an off-campus house. Although I faced a lot more immediate expenses, with rent and utilities, I am actually paying considerably less out-of-pocket now than I would be paying through scholarships and student loans if I still lived on campus. Plus, having my own room is really nice. Much like the year before, I have regrets of not having the foresight to put myself in a better financial situation. I wish I had searched for a job and applied for scholarships outside of UMD. For the second time, I had the honor of serving as a RockStar during Bulldog Welcome Week. Early on in the semester, I also began dating the girl whom my friends in Mankato introduced to me during freshman year, so my year got off to a very good start. Holding leadership positions within both LCSA and SA were both amazing experiences that allowed me to further my advocacy and leadership skills. During the spring semester, I began working for Career and Internship Services as a Peer Educator. Serving as a Peer Educator has given me the opportunity to serve my fellow students in a new capacity. It has given me the chance to advise them on how to present themselves in the best way possible and how to better understand the qualities they have that will serve them well in their academic and professional lives. One thing I do regret from this year is not putting forward the effort to figure out if I could add a sociology major and still graduate on time. I kept thinking about asking, but I never actually did it. For the third and final time, I served as a RockStar during Welcome Week. Naturally, this year has been full of doing things for the final time. A great deal of my time has been spent planning for my future and figuring out what I will do once graduation comes around. In the Fall semester, I studied for and took the GRE, a standardized test very similar to the ACT that most graduate schools want to see the scores from. At the same time, I also began looking at graduate schools back home in the Twin Cities, where I planned on living after graduation. Spring semester has entailed applying to those schools and looking for employment for the summer and more long-term. All of this, in addition to finishing strong with my classes, has been quite stressful over the past few weeks, but the support from my job, family, friends, and especially my girlfriend, has been amazing and is getting me through it. I have enjoyed the past four years here at UMD, and although I have had some regrets along the way, all the positive experiences and great lessons have greatly outweighed them. I’m definitely going to miss it here. As the semester is winding down, so is my internship, sadly. Luckily, I will be back next year filling another role in the office. Here is a glimpse into my journey as a C&IS intern. There are many reasons I chose to do an internship for credit this semester. Number one, I wanted to gain experience in a psychology related field to assess if I really wanted to go into this field. Number two, with all the other demands of being a college student, I knew if I didn’t have a class to help me set deadlines and keep on track in the process of actually getting the internship I probably wouldn’t prioritize it. In my wildest dreams, I never thought I would be interning in Career Counseling, I started my degree wanting to go into human services with children and families. Going through college, however, I started to get to know myself more, take on challenges, and grow. One of these opportunities was my role as a peer mentor for transfer students. After being involved with that program I realized that I was open to working with a broader range of people than only children and that I really enjoyed working with college students. I followed my interests, discovered this internship through the psychology department, and the rest is history. What I’ll miss most about it (at least while I’m gone over the summer) is the people. I spent about nine hours a week with the employees of the C&IS office and I loved getting to know them! The professional relationships you build with co-workers is important for way more than just networking. They are what makes up the work environment and office culture. Every workplace is unique. With C&IS office I think I hit the jackpot. The office is very open and welcoming, I would describe it as being a “professional family.” I looked forward to coming to work because I enjoyed the work I was doing and the people I was doing the work with. If I had one without the other it would have been incomplete. In the 40-hour-work-week world, office culture becomes even more important. The first few days in a new job are always a little nerve-wracking, soon enough though I got to know people in the office and settled into my role. At first, I wasn’t sure exactly what it would look like. Looking back on my experiences I would tell myself to jump into my role sooner even if I was a little unsure. I would also tell myself to ask about shadowing career counseling appointments and set them up earlier on in the internship. Keep respectful communication between you and your supervisors, let them know what you are hoping to learn through the experience and collaborate on how to make it happen. Advocating for yourself is important, employees are busy and sometimes you need to ask if you could join in on something rather than waiting for someone to suggest it for you. And remember, you are there to learn. It’s fine to ask questions if you have them, just don’t hound people with questions. Sometimes things are a little outside your comfort zone. Prime example: me writing for the C&IS blog. It can be tough to put your work out there for people to read, because who knows how it will be received. I also have never written for a blog before, much less one tied to an official organization. My advice would be to jump on those opportunities anyway because they could lead to something amazing. Another main reason I wanted to intern with C&IS was to see if career counseling and/or higher ed were fields I could see myself going into in the future. What is the profession like? What is it all about? I learned there is a lot of behind the scenes work that goes on in a career counseling office, from setting up and attending job fairs, to classes and presentations, to making sure C&IS is providing their clients with the help that they are seeking. I also learned that there is so much to know as a career counselor and it is not possible to know it all. Which just means that if an answer is unknown they put on their sleuthing hats and help the client find the needed info. Another thing to mention, we are not alone if we ever feel anxious about our career journey or what decisions to make. We are all in the same boat with that, and while career counselors can’t tell you what exactly to do with “the rest of your life,” they can certainly help you clarify what is important to you at this point in your life and assist you in assessing your options. Internships can be a fantastic way to gain an understanding of what you want to do in your future career and even not so great experiences can teach you this as well. I really enjoyed my internship and I discovered that career counseling is something I could see myself doing in the future. It pushed me a little out of my comfort zone at times, helped me grow in confidence in my ability to navigate being a part of the professional working world and allowed me to meet some wonderful people and make some fond memories! 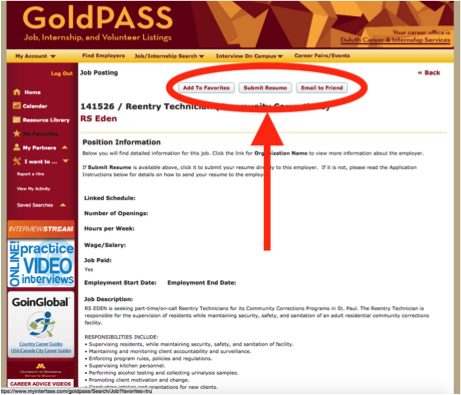 What is Career & Internship Services Tabling? One of the things I get to do a lot with my job at Career & Internship Services is help out when we table at events. We table at tons of different events: major/minor fairs, prospective student events, things of that nature. When I am tabling, I talk to people about all the great things we do at Career & Internship Services. We have a very extensive Graduate Follow-up Report and it is a great resource, especially for students in their first couple years of school. Looking at the Graduate Follow-up Report you can see how many people in each major have a job related to their major, studied abroad, had an internship, and so much more. You can see the average income of a major, and even get a full list of jobs people have gotten within a year of graduating UMD. Our Graduate Follow-up Report is a really wonderful way to explore different majors and what you can do with them. At Career & Internship Services, we also do a lot to personally help students pick a major.When I say personally, I mean one on one, with a real person. We have several very qualified counselors who will talk with you and work through any questions and problems helping you to find the major that is best for you. A common question we get while tabling is “what kind of internships do you have?” None. We don’t have internships. What we do have are ways to help you get the tools to get any internship you want. We also host job and internship fairs to help you find those opportunities. Essentially, we don’t give you the fish, we teach you to fish. We’re very philosophical like that. We also talk about the top reasons freshmen visit our office, especially at prospective student events. When tabling, we also generally have at least one student, who works in the office, present. The students can talk about their experiences in their majors and the time they’ve been at UMD. We also get a lot of questions about why we have a Pillsbury Doughboy on our table. The simple answer, we got it from an employer and think it’s fun. In reality, it’s a great conversational piece. A big problem I see at UMD is the misconception that Career & Internship Services is only for seniors, or students that are looking for an internship at that moment. That is just not true. The earlier you start the better off you will be. Stop in anytime. Hi there! Did you know Career & Internship Services and Disability Resources at UMD are collaborating this year to bring you tons of cool and new information around the topic of disability in the workplace? Well, now you know!!! I am so excited to be a guest author this upcoming school year and maybe be able to teach you a thing or two about this topic. 😉 My name is Alissa Stainbrook and I am a Disability Specialist on campus working in the Office of Disability Resources. I am also a Licensed Social Worker and am just wrapping up the MSW program here at UMD. So I totally get what it’s like to be a student too….best of both worlds — working and education, am I right?! Our office is a pretty awesome place. We are located in the Multicultural Center on campus as we consider disability a part of diversity and want to spread the awareness to others as well. Our office is here to ensure access for students with disabilities. What do we do here in DR you may ask? Well, our office does the following: coordinate academic accommodations, provide a testing location for students who need accommodations, work with students to coordinate access to other on-campus resources, and offer guidance & support. Another important question we get asked is who does our office work with? Our office serves any students with documented disabilities who need to arrange academic accommodations for their classes. This includes students who have ADHD; Mental Health Conditions; Autism Spectrum Disorder; Acquired Brain Injury; Physical, Sensory, or Learning Disabilities. Our office works to educate the campus community about access and disability related issues. We also work closely with UMD faculty and staff members. This year DR and C&IS are teaming up to bring you a pretty awesome series around Disability in the Workplace. There are a number of topics we want to cover including: disclosing disability – when, how, and why; differences between disabilities and what accommodations are reasonable; how to ask for accommodations; how to be a better advocate for yourself; what resources are available to you; mental health and well being in the workplace; and personal stories of students who have graduated who have disabilities and are now working. We cannot wait to chat with you and are totally open to any suggestions of other topics around disability in the workplace and what you want to know! It is going to be a great year, all! 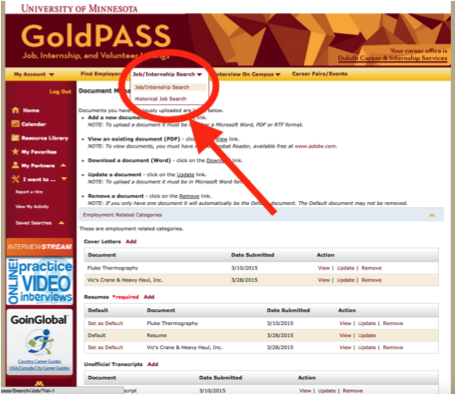 If you’re brand new to UMD, welcome! Not new? Welcome back! It’s been a little too quiet around here without you this summer. With the start of the school year, we thought it would be helpful to remind you of our services and upcoming events we have. Contrary to popular belief, we work with students of all ages…not just juniors and seniors. Here’s a rundown of why you may want to stop by SCC 22 in the Wedge. trying to figure out your major and/or minor (picking, changing, confirming, etc). looking for an internship or job. exploring career options for your major. wanting to start your resume or have it reviewed. getting ready for job fairs, interviews, and/or applying to professional or graduate school. wondering what your options are for graduate school. lost, and want to find your way (on-campus or in life). Workshop schedule (first one is Sept 5th). Sept 14: E-Fest Job & Internship Fair for science, engineering, and computer science majors. Resume Drop-ins are every Tuesday and Wednesday, 2-4pm, in SCC 22, while classes are in session. Yep, they start on Tuesday! 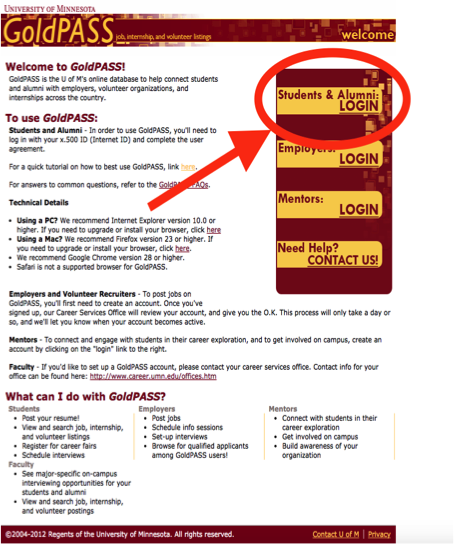 LinkedIn/GoldPASS drop-ins are every Thursday, 2-4pm, in SCC 22, while classes are in session. They start on Thursday. You can stop by to have your resume reviewed anytime we’re open, M-F 8-4:30pm. Oct 6: Head of the Lakes Job & Internship Fair for everyone. Employers will be interviewing on-campus. 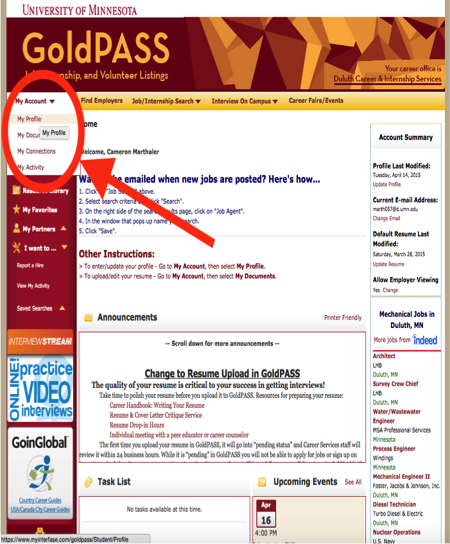 Check GoldPASS for the latest schedule. We are collaborating with Disability Resources both in-person and online. Our two offices are working together to bring you a workshop series to help address the unique challenges students may face related to disability and the job search. Starting next week we’ll be launching a year-long blog collaboration to address topics around disabilities in the workplace. We’re sooo excited about this collaboration. #BulldogOnTheJob is a new blog series we’re launching this week. Every few weeks we’ll be featuring UMD alumni as they share their journeys and advice about life after UMD. Feel free to check our office website for information on everything related to careers. Stay tuned to the blog awesome new topics from students, for students, coming your way!